A man has been arrested for allegedly keeping seven sandbar sharks in an aboveground pool in his New York home with intent to sell them online, officials said Wednesday. Joshua Seguine, 38, of LaGrangeville, N.Y., was charged with the illegal commercialization of fish, shellfish, crustaceans and wildlife on Tuesday, according to a release from New York Attorney General Letitia James. 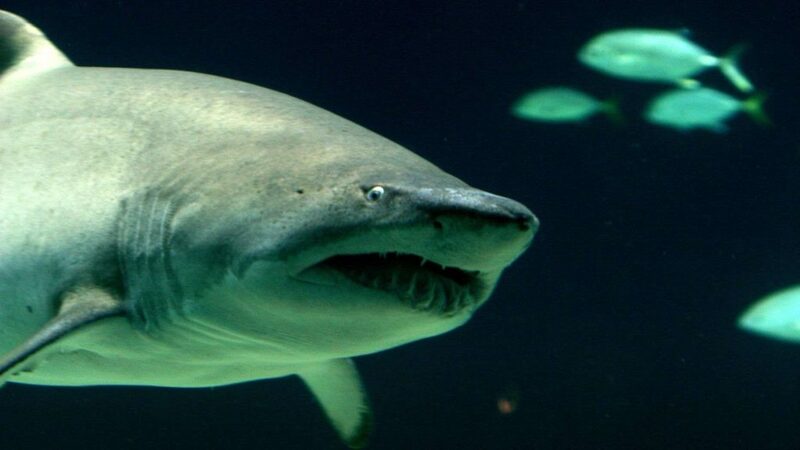 Police from the Department of Environmental Conservation (DEC), along with biologists from the Long Island Aquarium and the Wildlife Conservation Society’s New York Aquarium, searched Seguine’s house and found the 18-foot pool with the sharks, which were later identified as sandbar sharks. They also discovered two dead leopard sharks, one dead hammerhead shark and the snout of an endangered smalltooth sawfish, officials said. After the biologists assessed the sharks, the animals were moved to the Long Island Aquarium in Riverhead. They were then transferred to the New York Aquarium in Coney Island. Seguine was arraigned in the Town of LaGrange Justice Court on Tuesday. He was released that day under supervision of probation, and is set for his next court appearance on April 16. Sandbar sharks are a protected species under New York law, and any potential owners must have a special license. The cost to legally obtain a sandbar shark is about $11,500, according to officials. “Harboring and selling protected species for one’s personal financial gain is not only illegal, it’s immoral,” DEC Commissioner Basil Seggos said in the statement. DEC officials were able to obtain a warrant to search Seguine’s home based on interactions he’d had with DEC law enforcement in 2017, according to the statement. In July of that year, Seguine was allegedly found with five undersize sharks in the back of his truck, according to the felony complaint. Authorities said he admitted he was taking the sharks to New York State where he planned to sell them. He also allegedly told officials he had more live sharks at his home. Investigators with the DEC reportedly later learned that he was selling sharks under the name Aquatic Apex Life LLC on the website MonsterFishKeepers.com in June 2017.